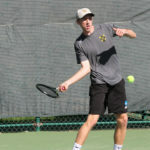 The ITA Midwest Regional Championship completed all but the singles final on Sunday, with an all Gustavus doubles final highlighting the day. Chase Johnson and Patrick Whaling came out on top in the championship doubles match over fellow teammates Yassine Derbani and Nick Aney by a score of 7-6, 6-2. 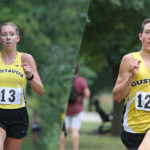 With the victory, Johnson and Whaling solidified themselves as All-Americans. 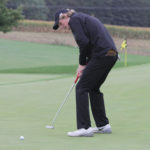 The Gustavus men's golf team finished play at the Saint John's Invite on Sunday in second place. 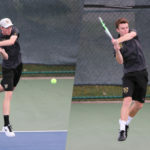 The Gustavus men's tennis team once again saw an abundance of success in the ITA Championships on Saturday. 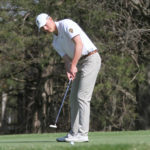 The Gustavus men's golf team finished their first day in the Saint John's Invite with a score of 294 which is good for second place. 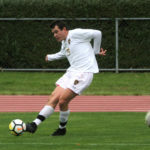 For the second consecutive match, the Gustavus men’s soccer team Saturday ended a scoreless battle in the waning moments of regulation to claim a 1-0 conference victory. 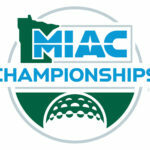 Matt Gibbons (So., Minneapolis, Minn.) weaved his way through Augsburg defenders in the box and rifled a shot into the right side of the net for what proved to be the game-winning goal in the 82nd minute. Scott Heinen (So., Aurora, Ill.) was credited with the assist, his team-leading fifth of the season. The No. 11 Gustavus volleyball team claimed its fourth consecutive straight-set MIAC victory Saturday at St. Catherine. 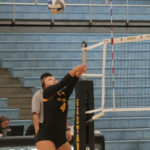 The Gusties won by scores of 25-15, 25-19, and 25-16 to improve to 14-2 overall and 5-0 in the MIAC. 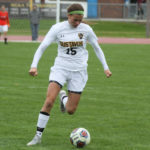 The Gustavus women's soccer team played host to Augsburg on Saturday afternoon and lost by a score of 2-0.